Digging a swimming pool by hand in Key West, former military policeman Jack Reacher is not pleased when Costello, a private detective, comes nosing around asking questions about him. Determined to keep out of trouble, Reacher conceals his identity. But when he finds Costello dead with his fingertips sliced off, he realizes it is time to move on – and move on fast. Yet two questions worry him: who was Costello’s employer, the mysterious Mrs. Jacobs? And why is she determined to find Reacher? Moreover, who is Hook Hobie, the vicious and amoral manipulator in a Wall Street office who preys on other people’s assets? 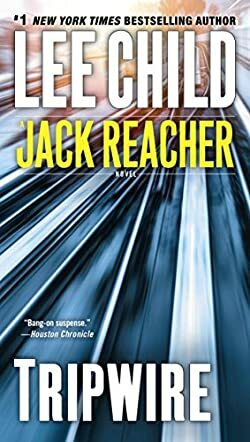 As Reacher follows the trail, it becomes clear that the stakes are high: the livelihood of a whole community; the fate of the soldiers missing in action in Vietnam; and, not least, the reappearance of a woman from Reacher’s own troubled past with a key to his destiny.